William Optics Corporation (WO) take very seriously the privacy of our web site users and customers, and especially the security of their personal information. All company personnel with access to personal information are aware of our policies and are trusted professionals in the field. WO is committed to enforcing these provisions vigilantly for your peace of mind and protection. The www.williamoptics.com website is owned by William Optics Co., Ltd. Taiwan and is governed in accordance with the laws of Taiwan. Unless specified otherwise, references in this site to "WO" and the "William Optics" shall mean William Optics Ltd. or its subsidiaries. It also states the terms and conditions for usage of our internet site. By accessing this website you agree to be bound by these terms, please read them carefully. If you do not agree to be bound by these terms you should not access or view this website. For the exhaustive list of cookieswe collect see the List of cookies we collect section. Stores randomly generatedkeyused to prevent forged requests. The contents and any downloaded material from this website is owned by William Optics Ltd. Taipei Taiwan or its subsidiary unless otherwise stated. All rights reserved. You are responsible for abiding by all applicable copyright laws. We permit you to make copies of this website as necessary incidental acts during your viewing of it; and you may take a print for your personal use of so much of the site as is reasonable for private purposes. Any use of the information presented in this site other than personal use and browsing is strictly prohibited and will constitute copyright infringement when not previously authorized by WO in writing. 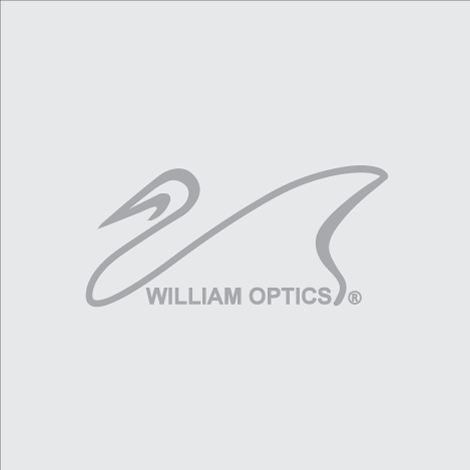 William Optics and William Optics Logo are registered trademarks of William Optics Ltd.
All other trademarks used in this website are used in an editorial context with no intention of infringement.